Ending the year à la Bombay!!! The Blue Mushroom Sirkus Psyshow will be headlining The Wakefield Follies at the Segal Centre (Outremont) December 6th, 8pm! *December 8th at Divan Orange. *December 21st at L’ESCO. It’s Going to be HOT!!! Did someone say edible pasties? Did I get your attention? 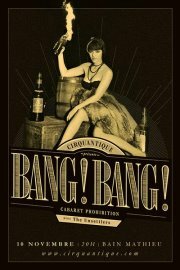 SpeakEasy December 10th for a special little treat!